Returning favorite. 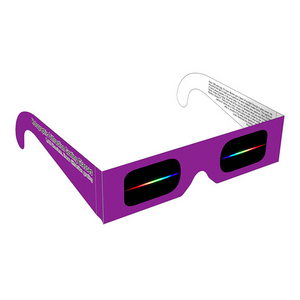 Fun diffraction glasses help students analyze the different wavelengths and colors of light. Highly efficient, 1000 lines per millimeter, single axis holographic diffraction grating lenses separate light from any source into its spectral components for study and analysis. Set of 30.